Superdry men’s Pique crew jumper. This premium jumper has been made with luxurious wool for a quality finish. 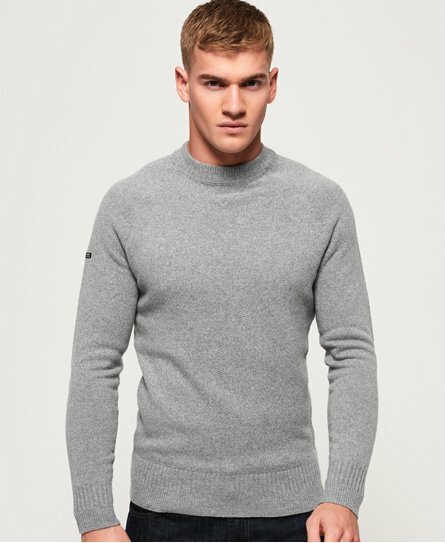 This jumper encompasses huge amounts of versatility, it can be layered with a shirt and trousers for a more formal finish, or dress it down on its own with jeans or chinos for your off-duty attire. The Pique crew jumper features a Superdry Premium patch on the sleeve and ribbed cuffs and hem for a flattering fit. This jumper is a winter wardrobe staple to keep you looking on top of your fashion game this season.